The Mad Titan Thanos is closer than ever to finishing his quest to collect all six infinity stones and wiping out half of the world. Now, superheroes from all across the universe must come together to try and stop that from happening. 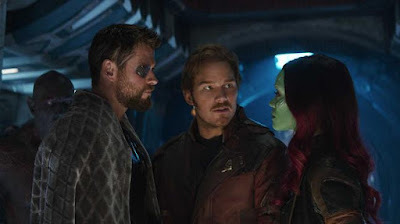 After 10 years and 19 movies, you'd think it might be hard for Marvel to live up to the expectations they have made to bring those movies and heroes together once and for all. Wouldn't you know it, they met (and at times even exceeded) every expectation we had. 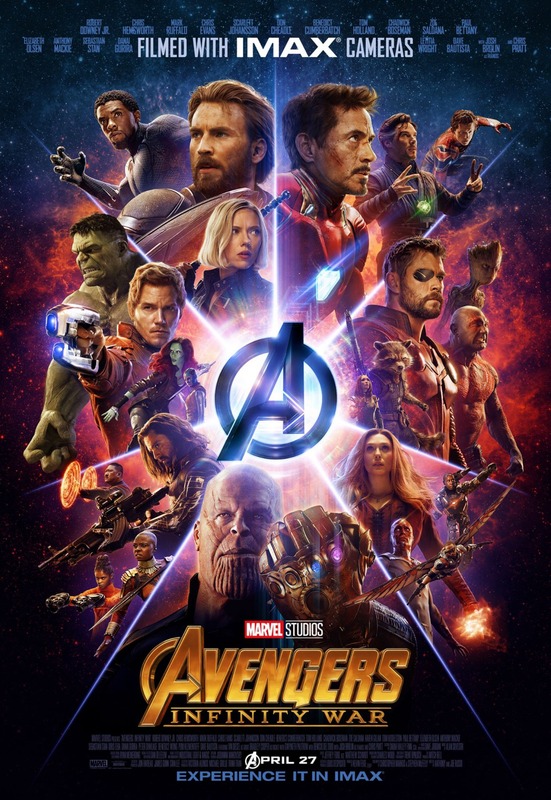 "Avengers: Infinity War" is directed by Anthony and Joe Russo, who have directed other Marvel films like "Captain America: The Winter Soldier" and "Captain America: Civil War." 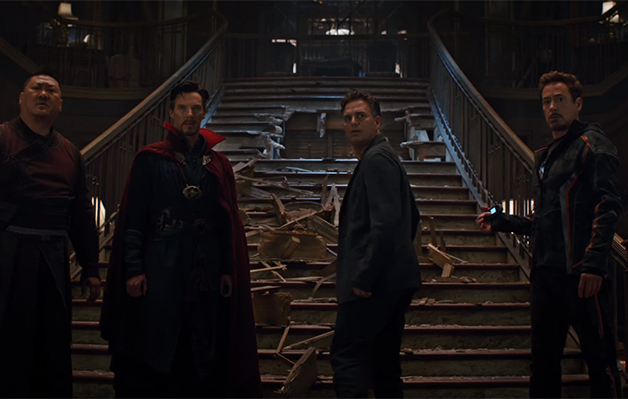 Considering those are two of the best entries in the MCU, we are happy to see them get the reigns of this film. 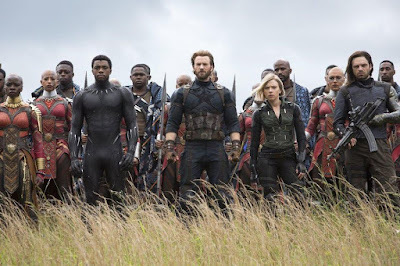 The film is by both Stephen McFeely and Christopher Markus, who have written every "Captain America" movie in the franchise. This film stars just about every actor in the Marvel Universe with the exception of a select few (who shall remain nameless). 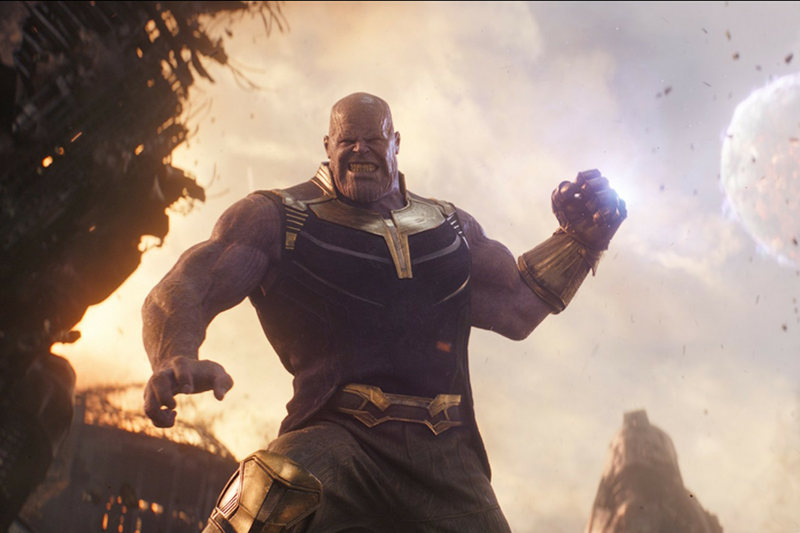 "Avengers: Infinity War" brings the Mad Titan, Thanos (Josh Brolin), front and center as the supreme villain of the universe. On his own, he is extremely powerful, but he hopes to make himself unstoppable with the help of the six infinity stones (space, reality, time, soul, power, and mind), which have made numerous appearances throughout the series. 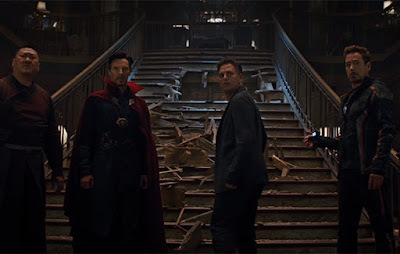 Now, the Avengers, the Guardians of the Galaxy, the Wakandans, Spider-Man, and Doctor Strange must come together to try and stop Thanos from obtaining the stones. 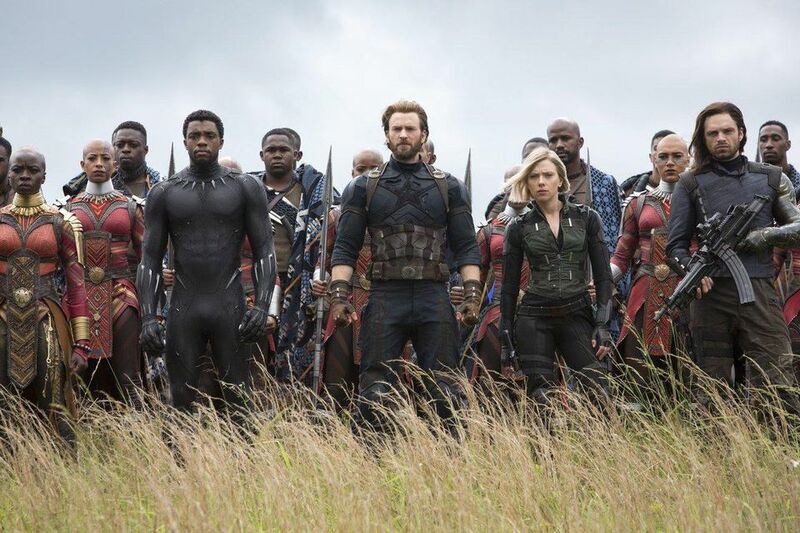 We expected "Avengers: Infinity War" to be big and bold, but we didn't anticipate it being this big and bold. By the end of the film, we sat with our mouths agape with what had just transpired. We were shooketh, to say the least. We can't mention specifics because we want to avoid spoilers, but let's just say it certainly lived up to the hype. This installment gave us what we wanted as both movie fans and as fans of the MCU: an epic flick of epic proportions. This is 110% a big picture film that must be seen on the biggest of screens. Most of the relationships between characters have been explored and developed elsewhere, so you really can't go into "Infinity War" knowing nothing. You should have seen the previous 18 movies to fully understand all of the characters, their motivations, where they have been, who they are, and their relationship to one another. The exception to this is Thanos. He is a wonderfully developed villain and has an amazing presence each time he's on screen. He has been slowly introduced over the years, and this movie spends some additional time bulking up his character. We understand his motive, we know his ultimate goal, and we can surmise what he's willing to do to achieve it. Hell, he's even sympathetic for half a second. This story certainly results in a lot of heavy drama, but there's also a hefty dose of levity and humor from characters where it feels appropriate, not forced. It's bursting with great action, lots of well-choreographed fight sequences, fun interactions, intense sorrow, and dueling egos. "Avengers: Infinity War" is full of high stakes, is supremely exhilarating, and is emotionally moving. It ventures into dower territory from time to time, but every tonal shift is handled seamlessly. It met every expectation we had, and not because we expected what was going to happen (because we certainly didn't). This movie does not line up with the story we had in our heads at all. Still, we absolutely love what wound up on screen. It is amazing and is definitely worth watching multiple times.